Eastman Community Association started out as a retirement and seasonal recreational community. Now, it's a full-blown intergenerational one with a wonderful blend of all ages. This shift is due to the economic growth of the Dartmouth-Lake Sunapee Region of New Hampshire. With new jobs came young families who fell in love with the trails and wildlife. Eastman Community Association describes itself as "a naturally occurring, intergenerational community." The residents made this intentional shift in 2012, when they enlisted the input of all generations to help create Eastman’s comprehensive strategic plan. 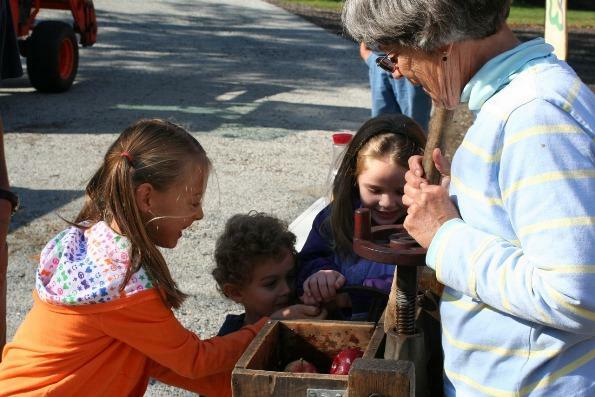 At the top of the list of Eastman Community Association’s strategic priorities is offering programs that foster intergenerational interaction. During the summer season, Eastman Community Association ran the Peppermint Patty’s snack bar. It provided snacks, lunches and ice cream to the residents and visitors. The snack bar almost closed in 2012, when the older adult operators decided to retire. A subcommittee of the Recreation Committee developed a plan to save it. With help from older adult mentors, high school students would run Peppermint Patty’s. The mentors are professionals advising in various roles of operating a restaurant business. Rachel Berg, a University of New Hampshire student, worked there. “This offered opportunities for high school students to gain real business experience," she explained. That experience included the teens meeting weekly with their mentors. They discussed operations and voted one another into a role. Berg’s team voted her for Marketing and Sales. Another Eastman strategic goal is to encourage all ages to share their talents. The community recruited the former teacher to chair the Lakes and Streams Committee. There, he and other volunteers watched over the 335-acre Eastman Lake. 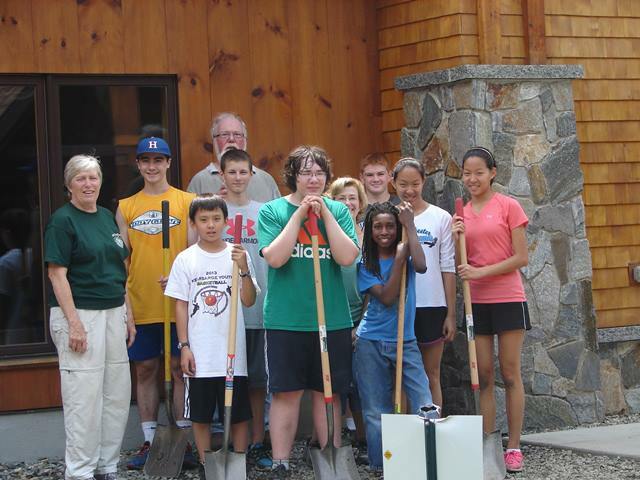 The Committee started the Youth Conservation Corps (YCC) to tap into volunteers in the community, many of whom were older adults who were interested in introducing local youth to lake ecology. The youth learned to transplant hostas (a plant species that grows in shade). Those who became experts guided adults new to the experience. After the program, YCC members wrote self-growth essays about their experience. The Eastman Living quarterly magazine published those essays. Additionally, YCC members presented their projects to participants at the annual Lake Appreciation Day. Larrabee enjoyed connected with the youth. With a two-mile lake, six beaches, and countless miles of cross-country skiing and hiking trails, the community's shared love of protecting the environment helps bring generations together. Several line items in the community's annual budget help protect that and other assets. The investments include foundation grants for elders to teach youth how to build boats. The Community Living Group provided a full-time staff person to work with the community. The Group also budgeted over $90,000 to programs, including intergenerational activities and events. 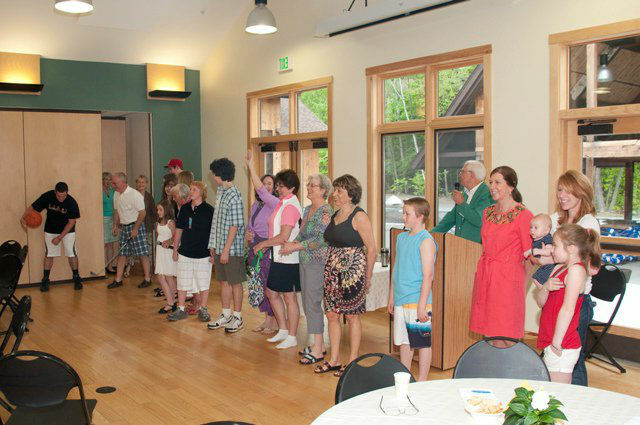 Other investments helped the community open the 16,000-square-foot South Cove Activity Center in 2009. The building, which replaced an older facility, helps meet Eastman's intergenerational needs.